At the end of last year, Wagner & Co Solar Technology decided to forgo larger Christmas gifts for its customers and to support a sustainable aid project in Africa instead. Customers and business partners alike met the idea with positive response. The company decided to support an orphanage in Ilula / Tanzania. Wagner & Co donated a solar power plant and a solar hot water system to enable a reliable energy supply. The project was implemented in spring 2012. The orphanage in Ilula offers girls a safe home and education. The orphanage in Ilula, an orphanage project of the nonprofit organization IOP (Ilula Orphan Program) offers children who live without protection on the road not only a safe home, but also education, and therefore prospects for a better future. Previously the electricity and water supplies to the orphanage were inadequate. Although connected to the national grid since 2011, the facility was regularly plagued by brownouts. „Our goal was to improve the troublesome electricity and water supplies to the orphanage and to make it largely independent from the wavering public grid. 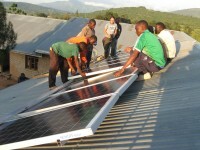 Increasing the supply security by bridging the regular power failures was therefore the decisive factor in the design of the solar power system“ says Peter Hoenen, graduate engineer (UAS) and product manager in the Export Department at Wagner & Co Solar Technology, who personally installed the solar panels on location in Ilula. Now the new solar power system covers 85% of the main building’s energy demand. To this end 14 robust solar panels with a total power of 2.5 kWp were installed on the roof. An electronic charge controller is „in charge“ of storing the solar electricity in a special solar battery bank while an inverter converts the direct current from the batteries to standard 230V AC electricity. Whenever the power fails, the system automatically switches over to solar power, providing a secure day and night electricity supply. 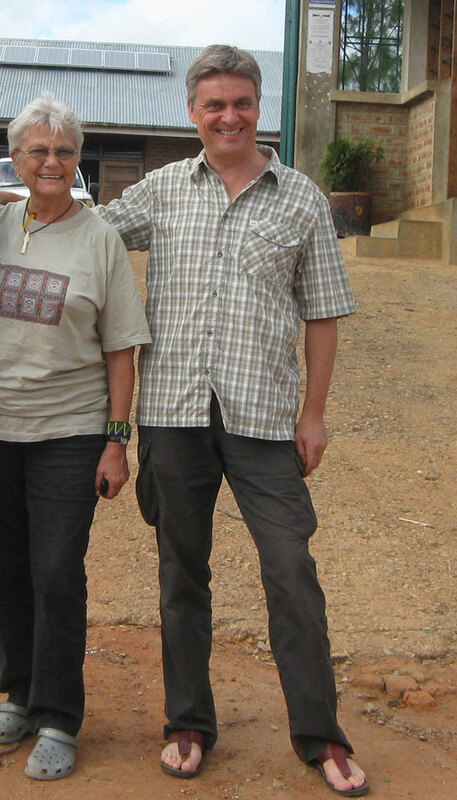 In addition Peter Hoenen is quite happy that the system can be monitored remotely via mobile phone networks and the Internet, enabling him to receive real-time information about system functions and performance even at his workplace in Marburg, Germany, several thousand kilometers away from Ilula. The public grid is used as backup at peak times only and whenever the charge state of the batteries under-runs 60%. Now the ancient and expensive Diesel generator fortunately is a thing of the past. The solar thermal system with a hot water storage tank of 200 liters is used to provide hot water to the kitchen. Other systems will follow soon to make hot water available in the bathrooms as well. The solar water heating installation is a so called Thermosiphon System SECUterm. It does not require any electrical power supply whatsoever since it is entirely driven by the heat of the sun. Such well thought out systems are particularly suitable for regions with high solar radiation. 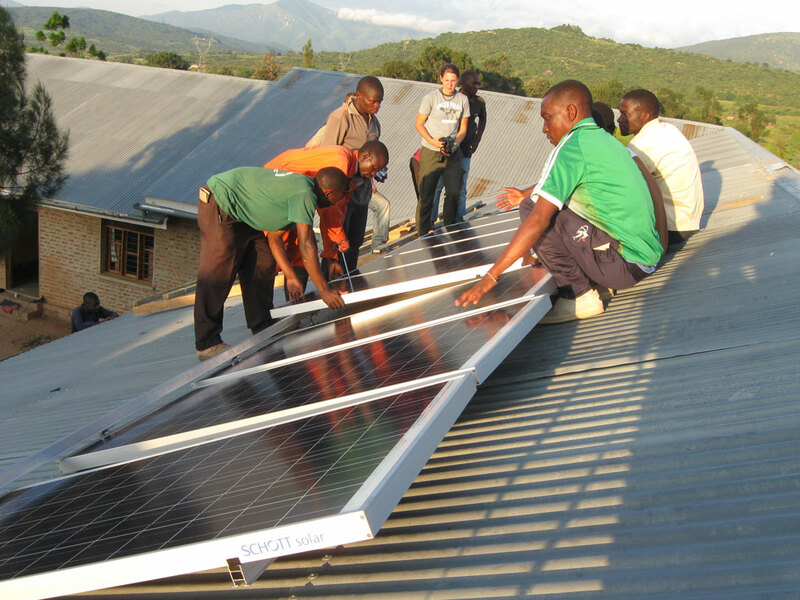 Installation of solar panels on the roof of the orphanage in Ilula / Tanzania with the great support of students from the technical training school in Mafinga. 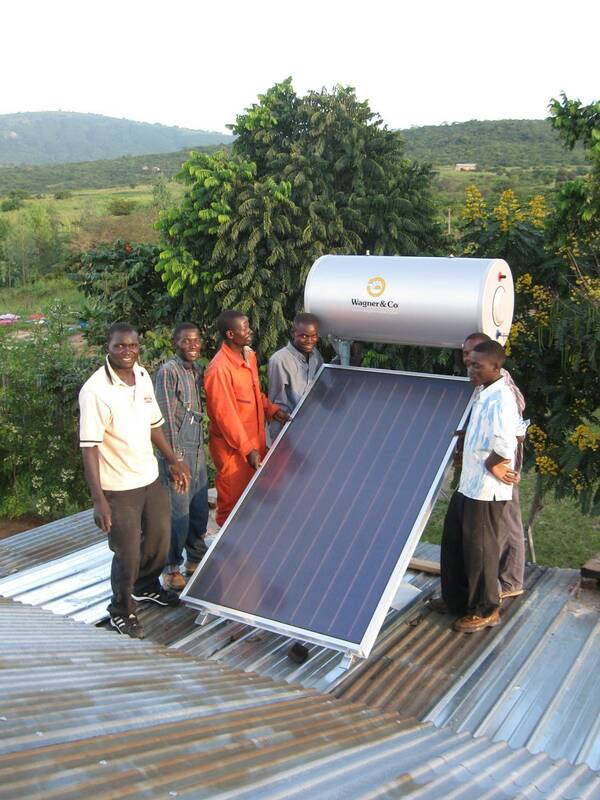 The solar thermosiphon system SECUterm now provides hot water for the kitchen of the orphanage. „The fact that we were ready on time with the installation also was owed to the enthusiastic support of 10 students from the technical training school in Mafinga. Helping hands to install the systems were also offered by two enthusiastic volunteers from the German-Tanzanian partnership DTP“ reports Hoenen. The fundamental approach to such projects that are supported by Wagner & Co is to not just donate money or technology, but to above all assist the local people with capacity building and training – to treat them as equal partners, and not as passive receivers of charity. Therefore, wherever possible, local groups are involved in these projects, as tradesmen or, as in this case, as students or trainees. Life in the orphanage in Ilula, in the heart of Tanzania, can now be a little easier and more comfortable, very much to the joy of the children and Berit Skaare, the Norwegian director of the orphanage. „Until now, we had to heat the water with firewood, which really aggravated the cooking and cleaning for our almost 40 resident children“ explains Skaare. „Thanks to the donation of Wagner & Co and the initiative of their employee Peter Hoenen, we took a major step,“ she says, looking at the new facilities with pride. 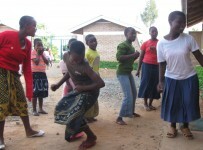 The girls in the orphanage in Ilula now recovered prospects and joy of life. 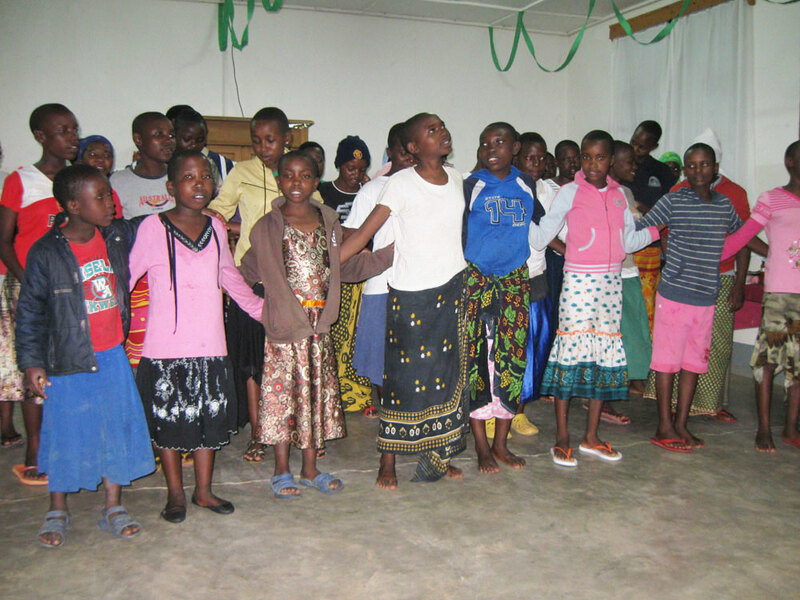 The Ilula Orphan Center is a part of the Ilula Orphan Program (IOP), a nonprofit organization in Tanzania, which commits itself to the goal of breaking the vicious cycle of poverty and HIV / AIDS in the population. The NGO offers various programs, including student sponsorships for children from the region, a support program for HIV / AIDS affected families, various community development programs and a preschool. 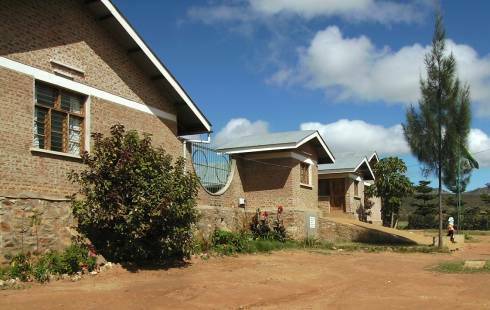 The orphanage in Ilula focuses on providing girls with accommodation, food and prospects for a better future. Ilula is located on Tanzania’s most trafficked highway, the Tanzam Highway, which connects Tanzania with Zambia. Truck drivers who interrupt their journey at nightfall and stay in the villages along the road, are the greatest threat to orphaned children living on the streets, especially girls. Sexual abuse and prostitution are rampant, and the rate of HIV infections in the region is high. The Ilula Orphan Program stubbornly counters these tragedies with untiring commitment. At Wagner & Co Solar Technology we hope that our small contribution improves the local conditions and helps the dedicated people at Ilula to achieve their milestone goals.